This Energy Bust Form is a well proportioned plastic unit with a modern round neck design with a removable chrome neck cap. 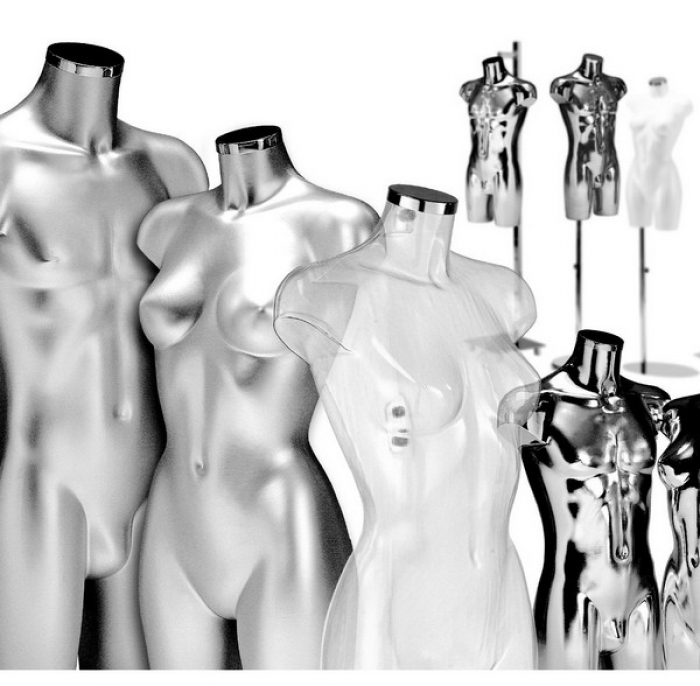 Manufactured to European standards and give a stunning performance for a display for underwear through to evening wear. Use with or without a stand (Neck or Leg) or can be hung with a neck lanyard.